The magazine said owners have complained about issues including loosefitting exterior parts and defective glass, casting doubt on the Model 3’s reliability and costing the car its recommendation. 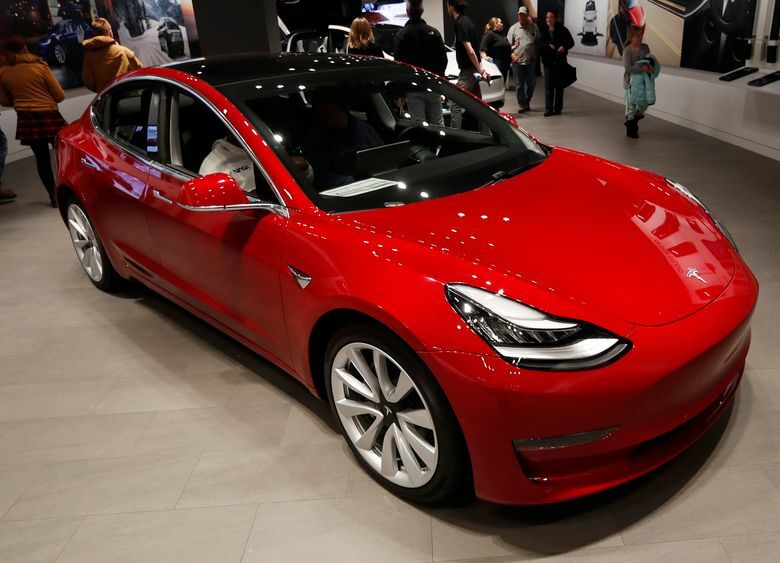 Tesla’s Model 3 lost a coveted recommendation from Consumer Reports, dropping its brand from the top 10 of the magazine’s closely watched annual ranking. The magazine said owners have complained about issues including loosefitting exterior parts and defective glass, casting doubt on the Model 3’s reliability and costing the car its recommendation. The sedan’s fall from grace contributed to Tesla’s dropping to No. 19 in Consumer Reports’ brand rankings, down 11 spots from last year and its lowest ever. Tesla’s stock fell 3.7 percent to $291.23 Thursday. Consumer Reports’ dropped recommendation follows two Model 3 price cuts this year to partially offset lower federal tax incentives. The moves have raised concern among some investors about demand for the vehicles keeping pace after deliveries surged in the second half of last year. The top brand in Consumer Reports’ 2019 auto issue is Subaru, which rose six spots from a year ago and bested several premium-car lines to lead the rankings for the first time. The magazine recommends seven of Subaru’s eight vehicles sold in the U.S., including the new Ascent sport-utility vehicle. It earned the “top pick” designation among midsize SUVs. In 2018, Consumer Reports ranked Tesla eighth out of 33 brands, making it the top American marque and the only one in the top 10. This year, Tesla fell behind Ford s Lincoln and General Motors’ Buick. Trouble with the Model 3 includes rear windshields that are susceptible to stress fractures, which won’t be fixable with a software patch, so Fisher said another re-rating in the near term is unlikely. He said Tesla told Consumer Reports it’s remedied problems on its Model 3 production lines, but that doesn’t help cars already sold with glitches. Genesis, Hyundai’s luxury brand, took second place after Subaru in the ranking, slipping from No. 1 last year. The others in the top five also are premium marques: VW’s Porsche and Audi, followed by Toyota’s Lexus. The lowest-ranked brands are Jeep, Mitsubishi, Land Rover, Jaguar and perennial bottom-dweller Fiat.